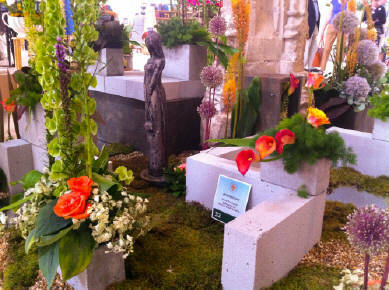 The 2014 exhibition, which took place from 18th - 21st July, was called 'Seeds of Change'. 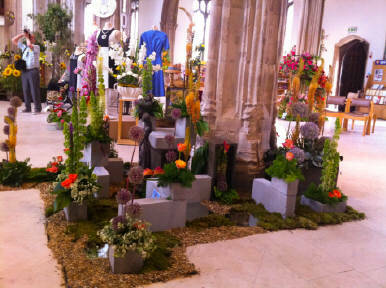 It was also 'A Centenary Celebration in Flowers' to celebrate 100 years of the Diocese Chelmsford Cathedral. ​The two arrangements sited in the entrance windows were done by Jean Bruce and Margaret Salmon and were designed to complement the two colourful stained glass windows in the South Porch. 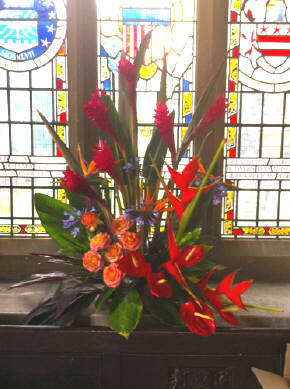 The balcony arrangement, sited on the balcony windowsill of the Knightsbridge Library, was done by Cheryl Brown and Hazel Lawrence. 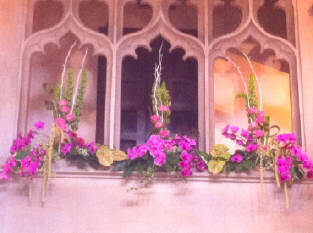 All the ladies arrangements were absolutely stunning and took many hours of planning and arranging. They were assisted by Teresa Scragg. 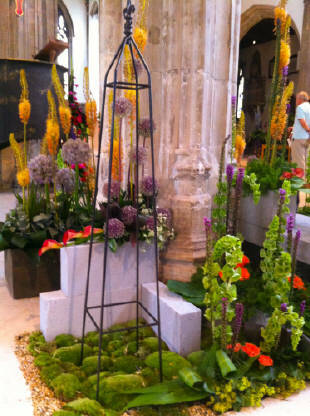 David Thompson's arrangements comprised 20 designs on the theme of architecture.